Sir Garfield Sobers is the undisputed heavy-weight of cricket. Many believe the greatest that has ever played the game. 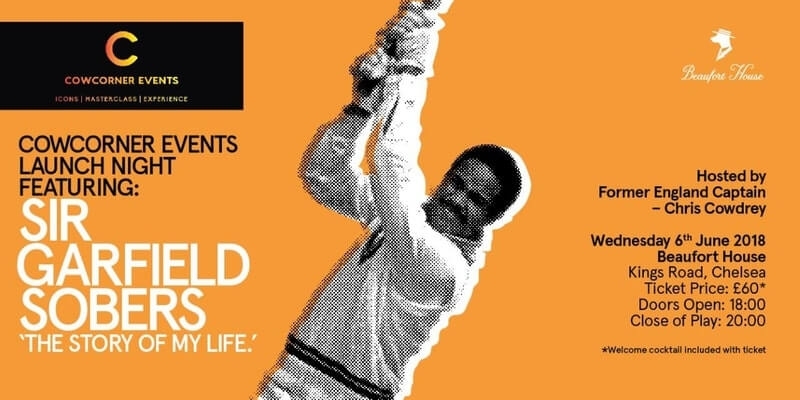 In an intimate interview, we will unearth precisely how Sir Garfield Sobers became the worlds greatest ever cricketer, and the adversities he overcame to get there. Join us at Beaufort House Chelsea on Wednesday 6th June 2018 from 6.00pm for CowCorner Events Launch Night. Tickets are now on sale – Click HERE to book.